Pushing 2.4 GHz Wi-Fi to the limits. For this project, we aim to answer a simple question: given an ideal environment, how far can you push the range of Wi-Fi connectivity? To test this, we set out with the goal to control a robot as far away as possible using Wi-Fi to transmit commands from a laptop to a Phidget SBC4. Before we could start, though, we had to do some research. To get a handle on our main question, we need to establish some background. 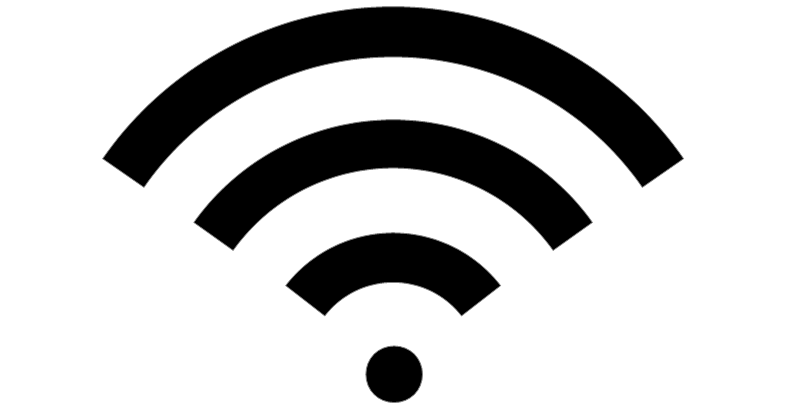 Wireless communications, such as Wi-Fi, rely on transmitting radio waves at a specific frequency in specific patterns. These patterns are then picked up by a receiving antenna, and translated to usable data. In order for the receiver to understand the incoming signal, it must be strong and clear enough to be distinguished from background noise. The power of a transmission decreases with distance from the transmitter, so to increase the range of a given transmission, you can increase the power in the signal. The power for wireless communications transmissions is specified in terms of watts, and dBm (decibel-milliwatts). The dBm unit is a logarithmic scale, where 0dBm is one milliwatt, and every additional 10dBm is 10 times more power. Antennas can be used to boost the effective power of a wireless transmission. They do this by focusing the power that would otherwise be dispersed in all directions into a smaller area. The amount the antenna increases signal strength in its focal area is called the gain. The gain of an antenna is specified in in dBi, which stands for decibels over isotropic, and indicates the amount the input signal is boosted in the focal area relative to a hypothetical antenna that emits power equally in all directions. Connecting an antenna to a transmitter, the output power of the system is rated in terms of Equivalent Isotropic Radiated Power or EIRP. This describes the intensity of the signal in the focal area of the antenna, relative to an antenna that emits power equally in all directions. To calculate the EIRP, you multiply the power of the transmitter by the gain of the antenna. Since both are rated in terms of decibels, the dBm of the transmitter and the dBi of the antenna can be added together to get the EIRP of the sytstem. How much can I boost my Wi-Fi signal? Now that we have all the techno-babble established, we can answer this question. 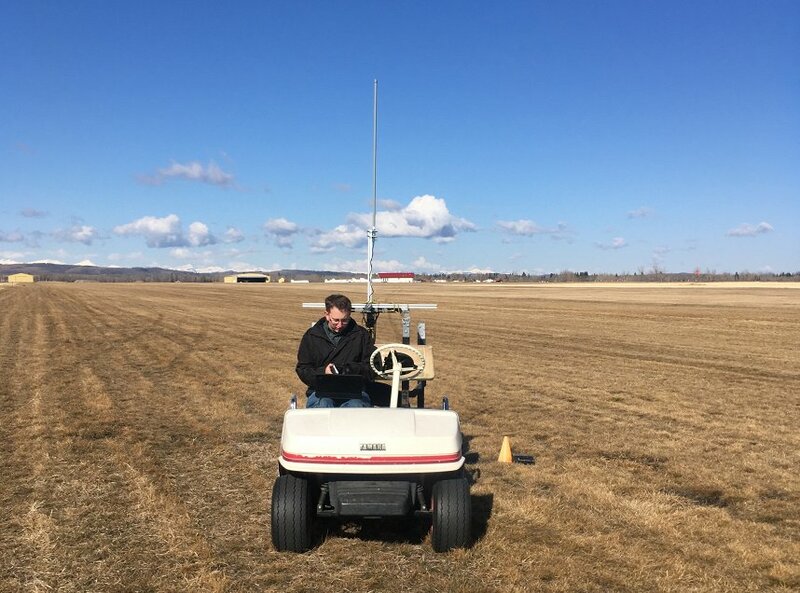 These regulations are less strict if you are using directional antennas in a fixed point-to-point configuration with no moving parts, but our aim is to control a rover over Wi-Fi, so while this may help in some situations, it does not apply to our test. For transmitters with less power, you can subtract the power of the transmitter in dBm from 36dBi, and the remaining dBi is the maximum gain you can use for your antenna. In practical terms, what this means is that you can take a standard Wi-Fi transmitter with 0.1W (20dBm) of output power, and attach it to an antenna with up to 16dBi of gain, and be just within the limits for licence-exempt RF operation in the United States and Canada. 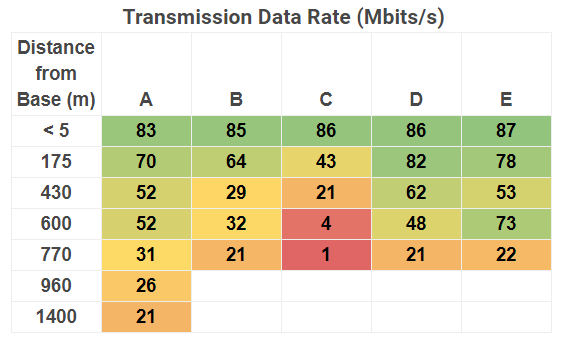 As a general rule, as the carrier frequency of a transmission is increased, it suffers greater losses as it travels and will have a shorter range. Because of this, 2.4GHz communications will have a longer range than an equivalent 5GHz signal, so we will focus on the former. With the knowledge of the specific limitations of how much power we can put into our Wi-Fi signal, we can look for equipment to push as close to this limit as we can. For this experiment, we opted to use 802.11n USB Wi-Fi adapters to send and receive our signals. Specifically, we used a MOD-WIFI-R5370-ANT adapter, which is a variant of the 3706_0 adapter (sold by Phidgets), that has an external antenna jack. These adapters proved a good fit for the experiment, with 20dBi output power, and compatibility with both the linux-based Phidget SBC4 and the Windows laptop, allowing it to be used on both ends of our Wi-Fi network. Since our transmitter has 20dBm of output power, we can use antennas with up to 16dBi of gain. 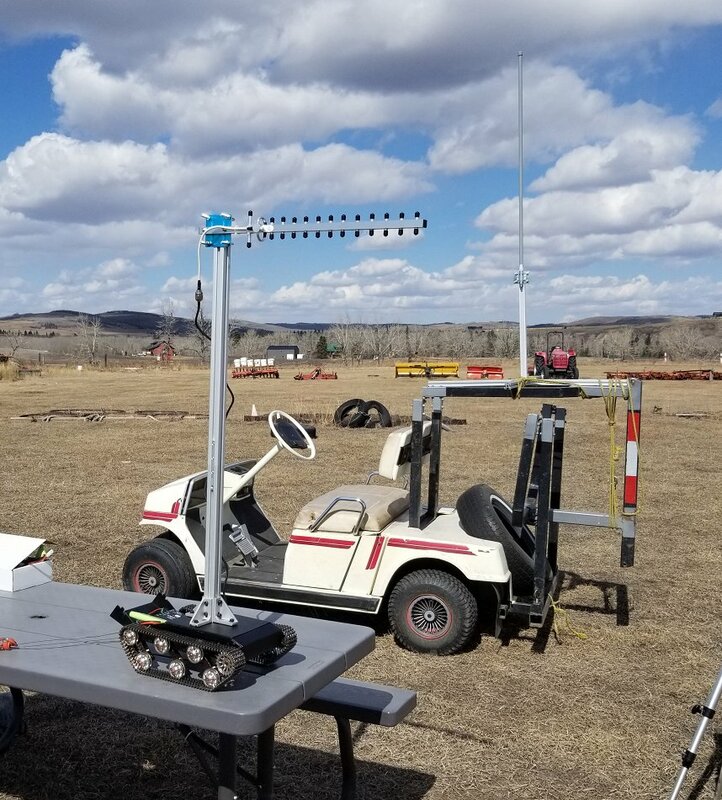 The omni-directional antenna we sourced for this experiment is 1.2m tall, and focuses the signal it transmits into a horizontal disc, with a gain of 12dBi. This disc is specified to have a 7° slope from horizontal, so the antenna will have to be kept level, and other antennas in the system will have to be at roughly the same height for the best results. This antenna would be the ideal solution to attach to a large moving platform. 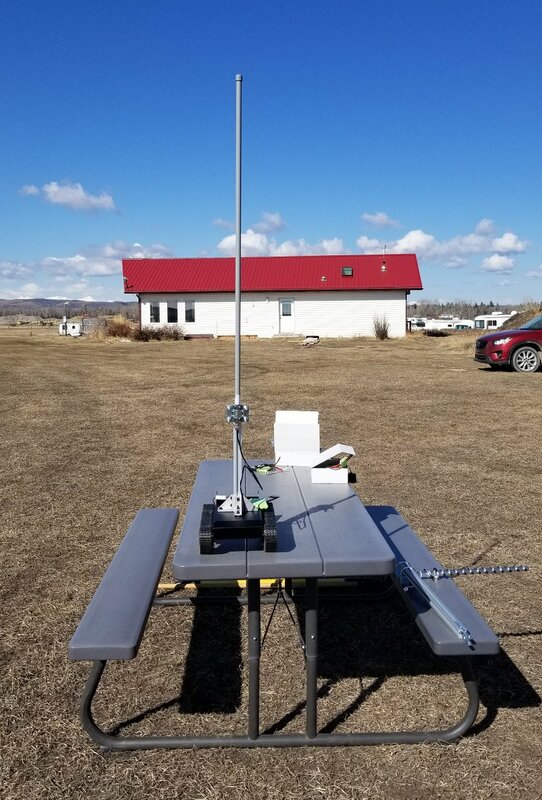 Looking like something directly out of a sci-fi movie, the Yagi antenna uses a specialized set of parallel elements to transmit and receive radio waves along very focused beam. Yagi antennas are ideal for transmitting wireless signals between fixed points over incredibly long distances. The antenna we used for this experiment had a gain of 14dBi, with a length of 0.59m. It specifies the beam it transmits is 36° wide. 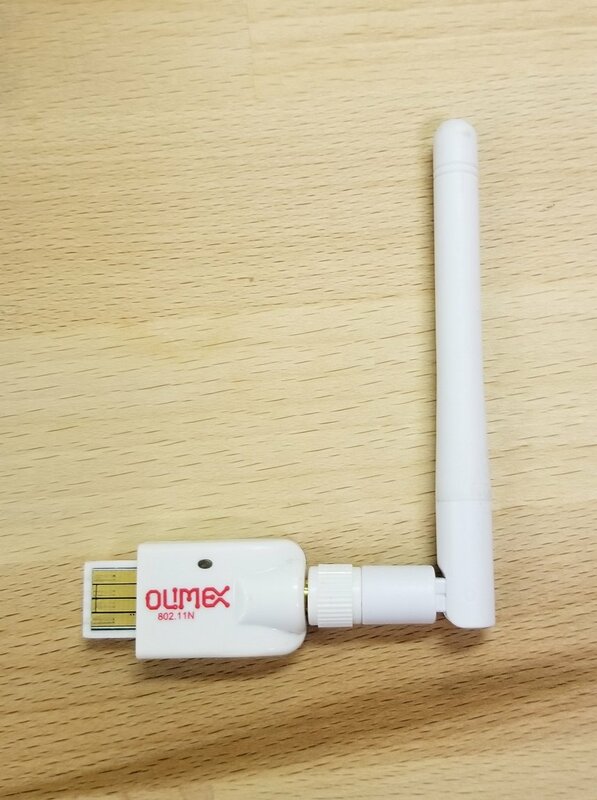 The final antenna we tested was the small 2dBi omnidirectional antenna that came with the USB Wi-Fi adapters. This antenna serves as a stand-in for a typical Wi-Fi device, and gives a baseline of what you might expect from a laptop or cell phone. To test the Wi-Fi signal strength at various long distances under nearly ideal conditions, we travelled to a small airport outside the city. This ensured very flat ground to guarantee line of sight, and minimal interference from outside signals. Pair all this with a relatively dry climate, and we have as close to an ideal testing ground as we're likely to find outside of a lab. We used standard GPS to mark the locations of our base station, and the locations of various landmarks beside the runway where we measured the Wi-Fi signals. The basic setup we used was to host a Wi-Fi network on a Windows laptop, and set up a PhidgetSBC to connect to it. This was done to mimic a potential scenario where a number of rovers running on Phidgets SBCs might be controlled by a single, central server. 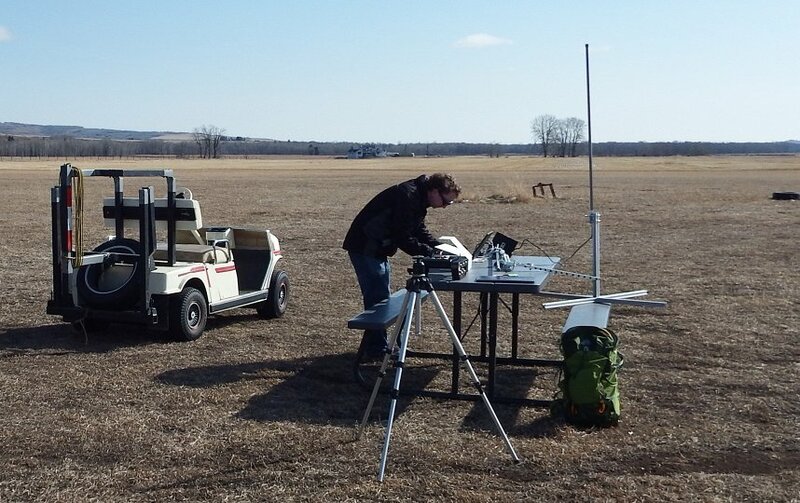 For simplicity, we placed the SBC4 in a static location (the Base) for all measurements, and moved the laptop from point to point in the field. This allowed easy access to the keyboard and mouse for the duration of testing. 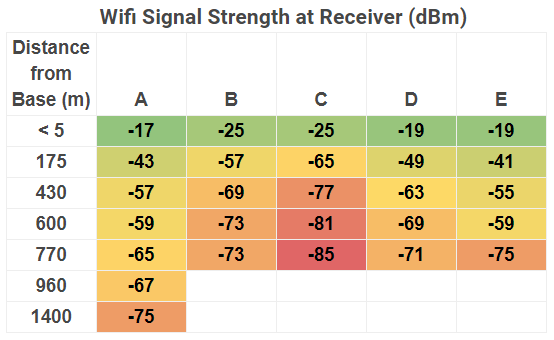 Wi-Fi signals were categorized using the open source iperf3 software to measure bandwidth, and using the iwlist wlan0 scan linux command on the SBC4 to measure the strength of the Wi-Fi signal. Since we were carrying the network host from point to point, we connected to the Phidget SBC using PuTTY to access its command line to get a reading of the signal strength at each point. 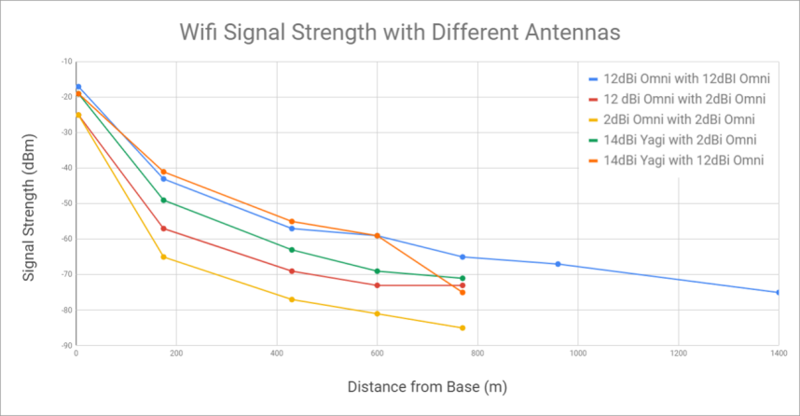 The results from this test show that using a standard 0.1W USB Wi-Fi adapter, you can realistically extend your Wi-Fi out to 1400m using the right antennas. Other antennas were not tested beyond the 770m point, as this point marked the end of the airfield's property. The farthest two points were taken in the middle of a farmer's field, and we decided not to leave the airport more than once. At 1400m we reached a road, and decided that was as far as we would go. It is interesting to see how the stock 2dBi antennas still managed to transmit a functional Wi-Fi signal out to 430m. This neatly showcases the effects that structures and interference have on the range of a Wi-Fi signal, as this is much farther than it would reach indoors. Beyond 430m, while data was technically being transmitted, the reception was intermittent and experienced several seconds of packet loss between successful transmissions. Our data seems to indicate an increase in the data rate at the 600m point. This could be due to a number of causes, though it is difficult to point to anything directly. Perhaps a small incline improved the alignment of our antennas. The very directional yagi antenna had notably less signal drop-off for points directly in its line of sight than the large omni-directional antenna. However, any deviation outside the antenna's beam resulted in a largely diminished signal. 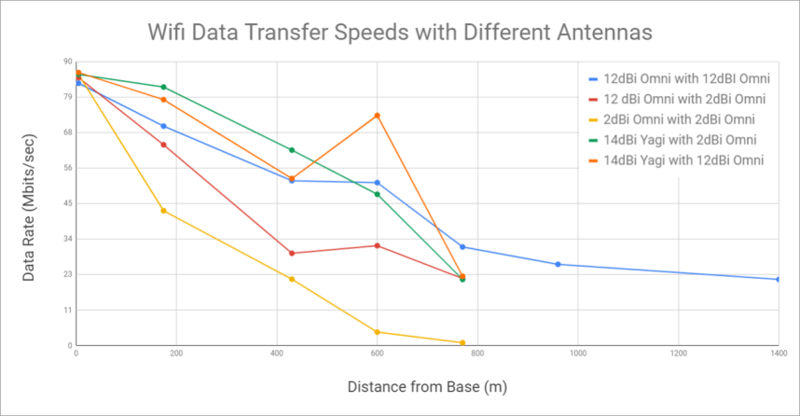 After analyzing the data, we can claim that given the right equipment, a Wi-Fi signal can propagate at least 1400m under idealized real-world conditions.